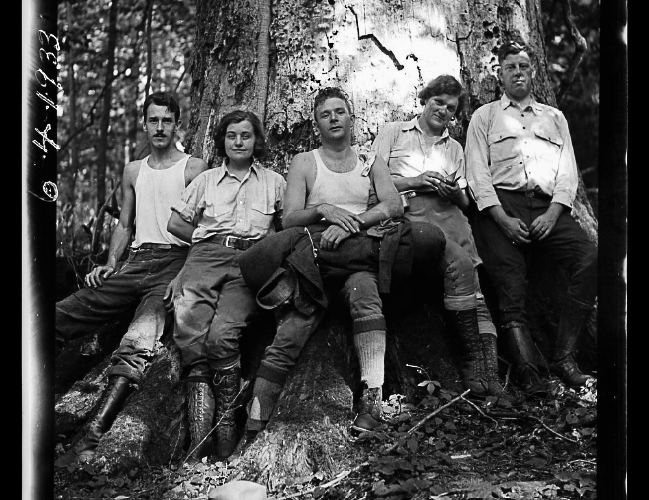 Photograph of five hikers, June 4, 1933, by Albert (Dutch) Roth. University of Tennessee, Knoxville. Special Collections. Used with permission. Roth, Albert, 1890-1974, “Five Hikers (1933),” Appalachian Trail Histories, accessed April 23, 2019, http://appalachiantrailhistory.org/items/show/464.